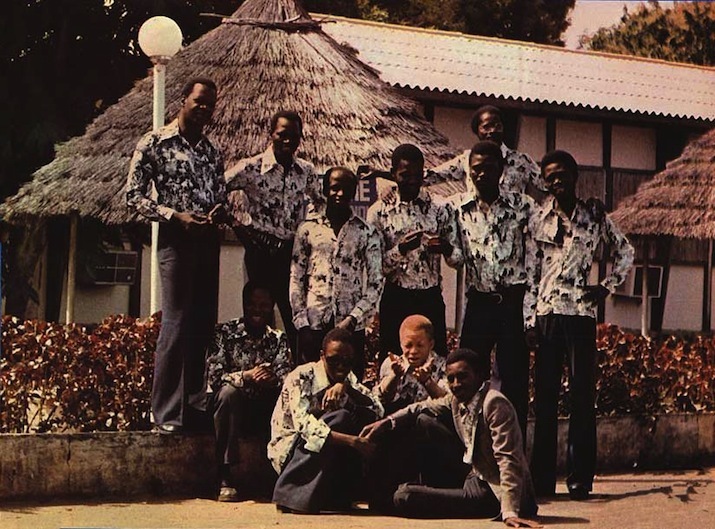 Les Ambassadeurs (pictured above in front of their headquarters, Le Motel De Bamako), one of West Africa's greatest bands, reunited this summer for a series of ten concerts, none unfortunately in the USA. Sterns Records has just released the essential compilation of the best of Les Ambassadeurs; most of the tracks haven't been available since the original vinyl went out of print, so this is a major occasion for African music fans. You'll hear a track from that compilation on this week's edition of Global A Go-Go. Also this week: two of the bands featured in Sunday's Modlin Center opening-day event; new Afrobeat by Sia Tolno and Zongo Junction; and an unlikely Cuban tribute to Buddy Holly, who would have been 78 years old this Sunday.